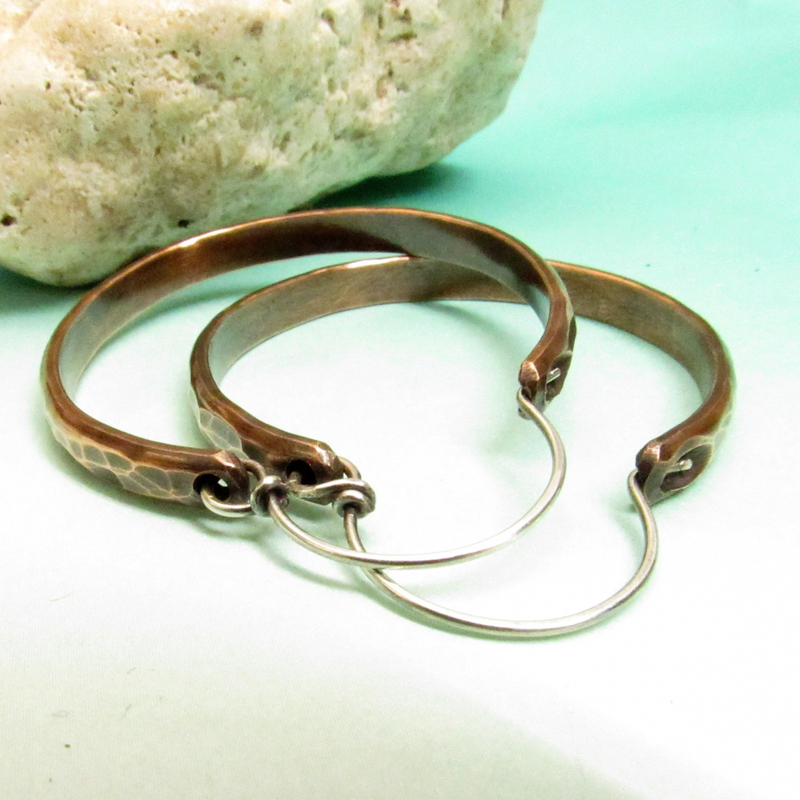 A smaller pair like the ones pictured at 1.25" wide. 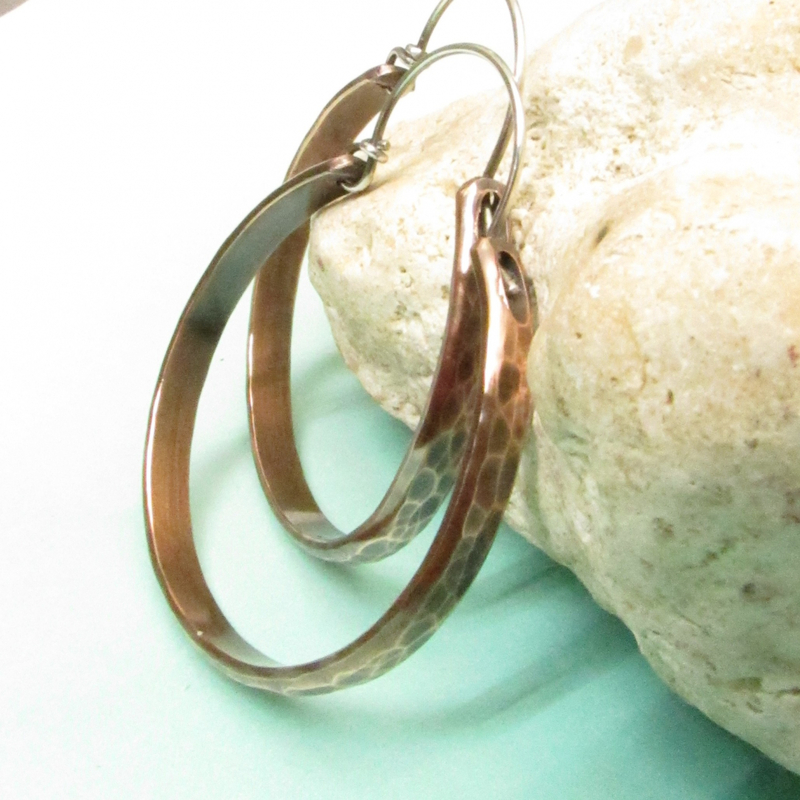 Rich hammered texture and color make for a simple but stunning pair of copper hoop earrings. 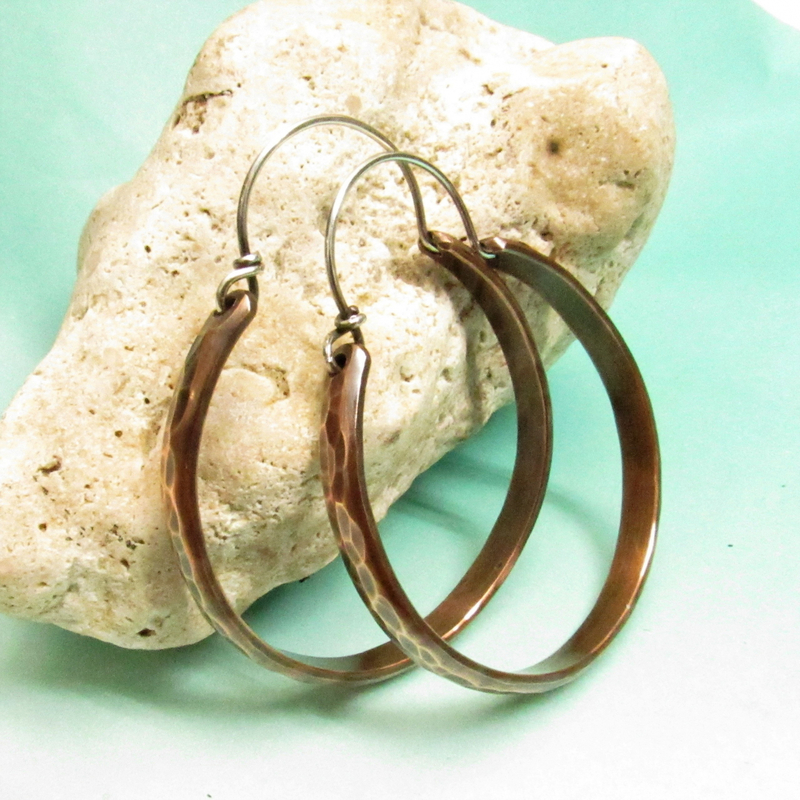 Coppers beautiful warmth plays against the cool sterling silver of the ear wires in this two tone, mixed metal pair for a great pair of go to earrings. 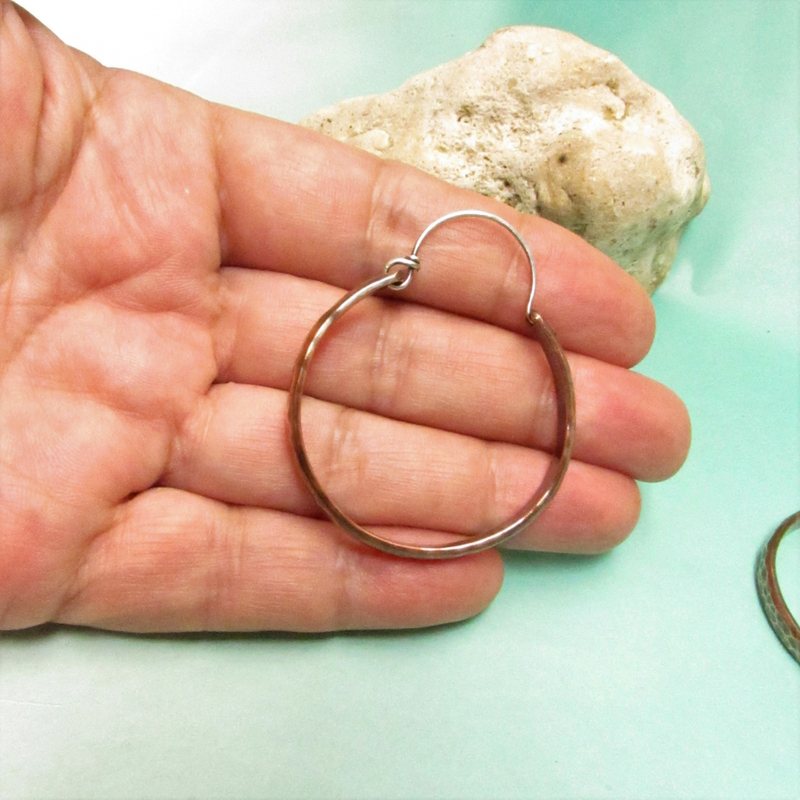 The hammered texture is highlighted by oxidation and polishing. Large enough to be noticed but light enough to be gentle on the ears.